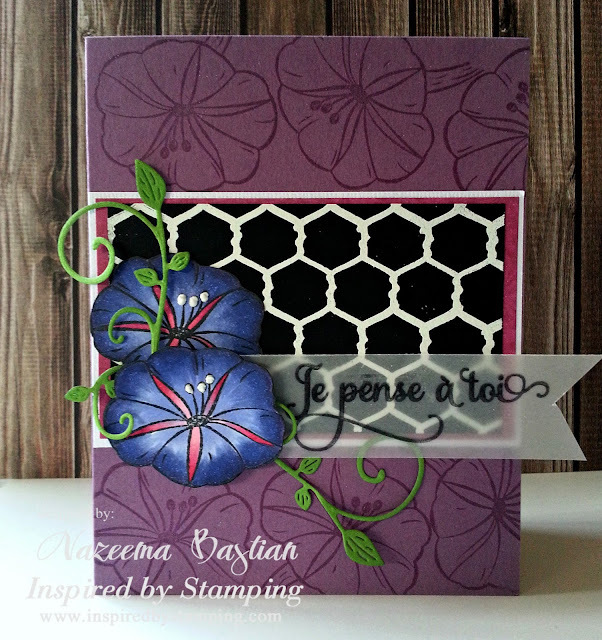 It's day 3 of, Inspired by Stamping June release. Have you decided which set is your favorite yet? Don't decide yet, cause there are still three more sets you need to see. Today, I am sharing with you two of the three sets. I am swooning over these new stamps. I am using Morning Glory flowers, from the Summer Flowers, that was previewed yesterday. I colored them with Copics, but I also stamped them in the background, using versamark ink. Check out the chicken wire!!! That is one of the new background stamps called: French Country Backgrounds. I stamp the chicken wire onto actual chalkboard paper and embossed with white embossing powder. I love this new paper, because it makes the embossed image really stand out. You know, I am all about my sentiments and this will be my first stamp set in another language!! Et je pense que c'est une carte magnifique ! Great coloring here, Nazeema! Beautiful! I love morning glories!!! I haven't heard of chalkboard paper yet, but I can see what you mean about the image really standing out! Speaking of stand-out, how 'bout those morning glories?? Oh my word, they're colored so beautifully! So pretty and really vibrant. The embossing truly does stand out! WOW! So beautiful, love the striking contrasts you created, beautiful! I love how your chicken wire image turned out. Super cute card. 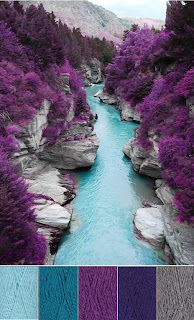 Awesome colors and fantastic flowers. Thank you for sharing your flowers with us at 4 Crafty Chicks. Lovely card, those are beautiful flowers!! Thank you for sharing with us at Divas by Design. Great card - love the embossed chicken wire background.